Ann Arbor photo art print HDR Ann Arbor photography for sale. 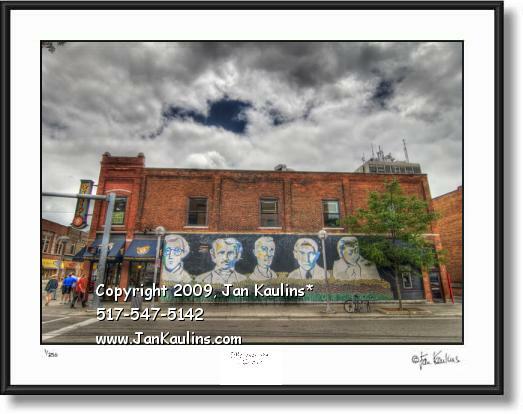 Ann Arbor photograph art print photo of the FAMOUS FACES WALL I don't know much history about this wall, but it has been looking out on Liberty St. at the corner of State St. for many many years. Do you know who they all are?